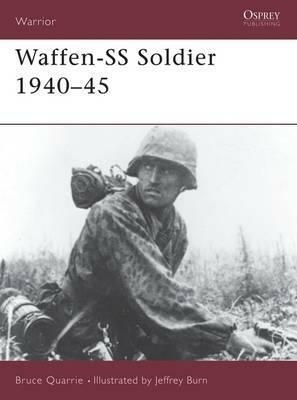 Probably the most highly motivated and ruthless combatant to take the field in World War II (1939-1945), the Waffen-SS soldier was the cutting edge of Germany's military might. Aggressive in attack, dogged in defence, his units generally suffered higher casualties than the regular army formations. The apple of the Fuhrer's eye, he was the first to receive the best available equipment and was expected to produce results to match. From the green fields of France to the freezing steppes of Russia and finally to the shattered streets of Berlin this title details the development of the weapons, equipment and tactics of one of history's most formidable soldiers."